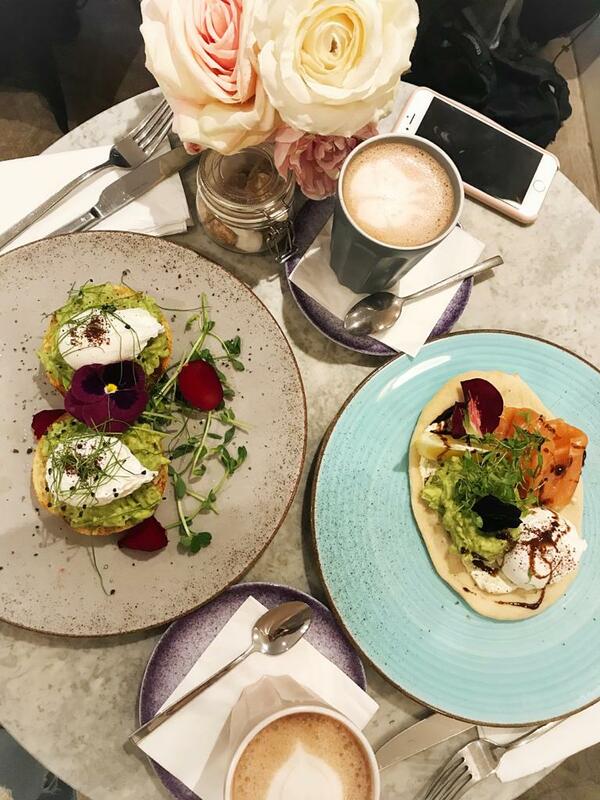 Farm Girl is one of the trendiest places to brunch in London. It’s located in Notting Hill right in the middle of Portobello road, but away from the crowd. The place is lovely and all over Instagram. How can you not take a snap of their famous rose latte with real rose petals? 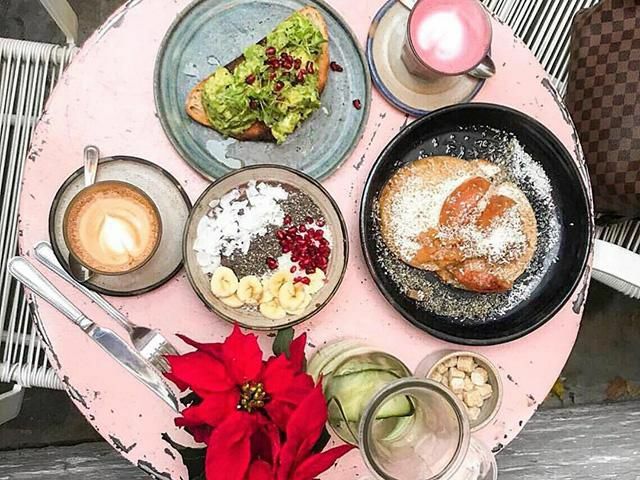 Very similar to Farm Girl, Elan Café is a very beautiful place where you can have breakfast, brunch, lunch, cake and coffee in a pink-hued paradise. 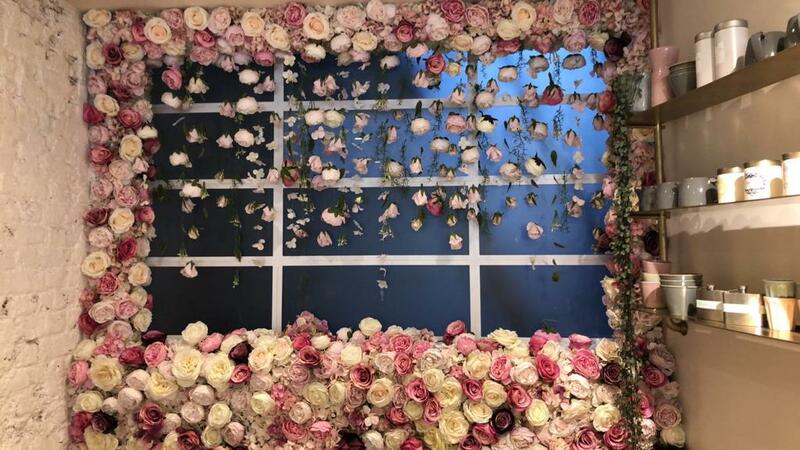 The restaurant is decorated with floral walls, pretty cakes, and pink cup; this is an Instagram haven. 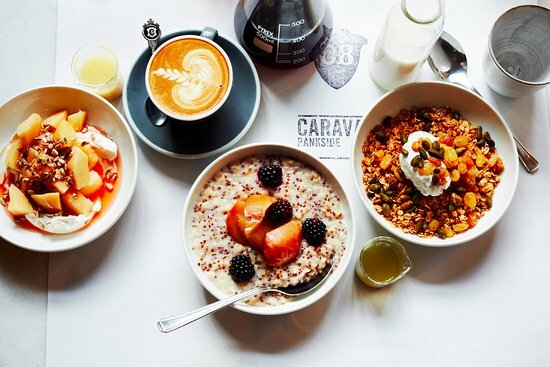 Caravan is another go-to for brunch in London. Well cooked dishes, with a choice that combines the classic English breakfast with more elaborate dishes but always with the “Caravan touch”, it is also an excellent option for coffee. 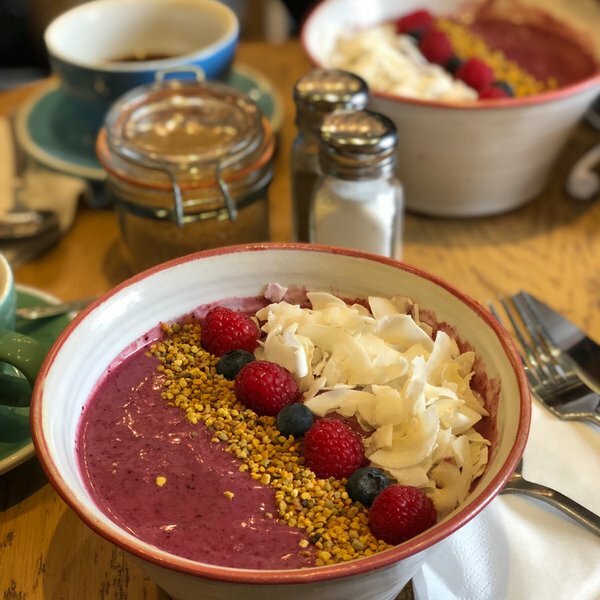 Brown & Rosie cafe is situated in Kensington, London. This place is especially nice during sunny days due to its outdoor seating . Brown and Rosie was founded with an Australian model in mind – a social space to meet, eat, relax and drink great coffee. 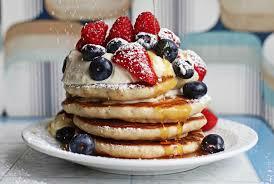 The food on offer reflects this with an extensive Australian style breakfast. 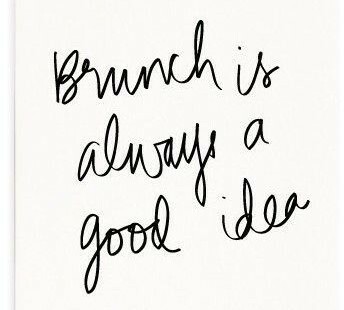 Brunch and lunch is served all day. When you go there you should try their home baked granola and their French Toast with mascarpone.